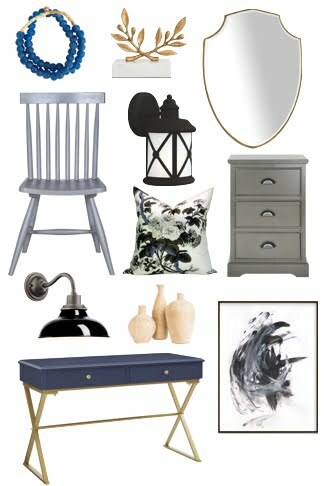 Stephanie from Sabbe Interior Design shares her old and new faves with us today. 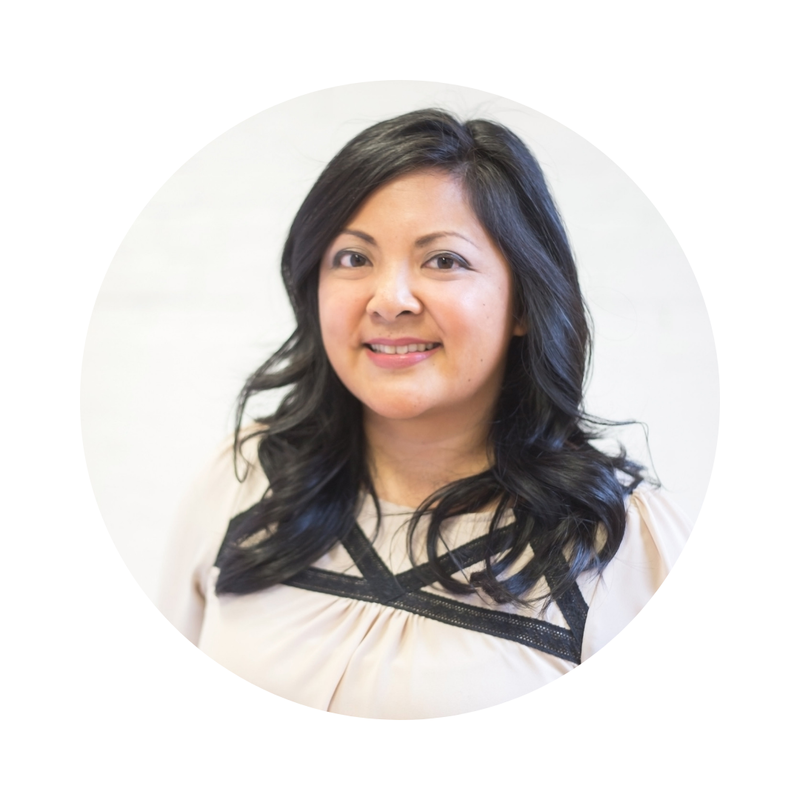 Stephanie is a new mom and talented interior designer who still finds time to tackle a DIY or two. 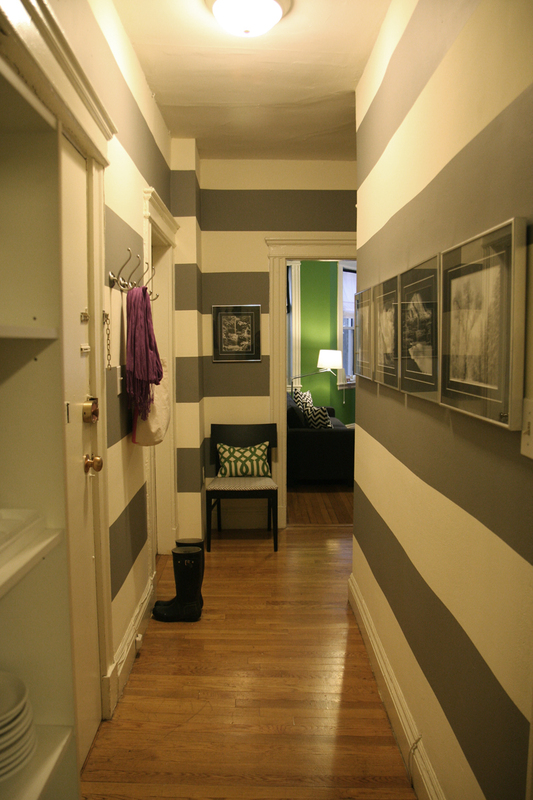 Her blog is full of ideas for challenging small spaces and she has great decorating ideas for renters. She's recently moved and I can't wait to see how Stephanie puts her mark on her new place. I feel so honored to to participate in Jennifer's series while she's on vacation! Let's see, we don't have a ton of "old" around our house because we have moved three times in three years and seem to be the severe opposite of pack rats. But if I had to name the one thing that we have kept around the longest and have no plans to get rid of any time soon, it would be these framed prints. They are not exactly antiques or prints...they are actually calendar pages that my mother-in-law had framed for my husband when he was in college to help his room not look so fraternity-esk. Someone recently asked me if they were real Ansel Adams prints and I laughed out loud. The framing cost 10x as much as the "art" but it's the one thing that has survived my husband marrying an interior designer. I have thought about replacing the calendar pages with family photos and I have always decided against it. Good ole' Ansel never goes out of style. My new thing that I love is the glider we bought for our baby's nursery. I looked high and low for a glider that didn't look like a typical glider and I went with this one by Best Chair. Besides being pretty decent looking, it was well priced and is super comfy. Some of my favorite moments over the last 4 months have been in this chair. Thanks so much for having me Jennifer! Thanks for stepping in today Stephanie! Your whole apartment oozes some serious style. 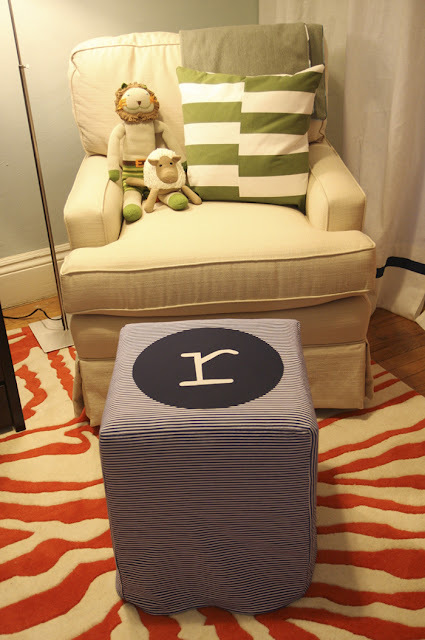 That glider (and your DIY'd ottoman) look like the perfect spot to enjoy time with your little guy.